This contrast fitted lace dress has a unique high neck design with a flirty cutout in the front! The Mallory High Neck Cutout Lace Pencil Dress is fully lined, except at the neckline and top back, which are semi-sheer. It is made of a gorgeous textured crochet lace fabric with contrast lining underneath. This dress has an empire waist and fitted pencil cut. We love the uneven 'scalloped' hemline of the lace at the bottom of the skirt. The most unique part of this dress has to be the high lace neck detail with a cutout at the neckline. A semi-sheer mesh panel at the back and a hidden back zipper complete this dress. The Mallory High Neck Cutout Lace Pencil Dress is perfect for a night out with friends. It looks good paired with pumps or wedges. Details: Lined except at neckline and top back. Hidden back zipper. 100% polyester. Lining: 100% polyester. Hand wash cold water separately. Color will bleed. No bleach. Hang to dry. Small measurements: Length from top of shoulder to hemline: 37". Bust: 33". You have added Mallory High Neck Cutout Lace Pencil Dress in Peach into Wishlist. 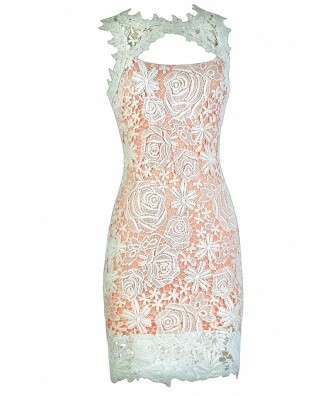 You have added Mallory High Neck Cutout Lace Pencil Dress in Peach for Stock Notification. 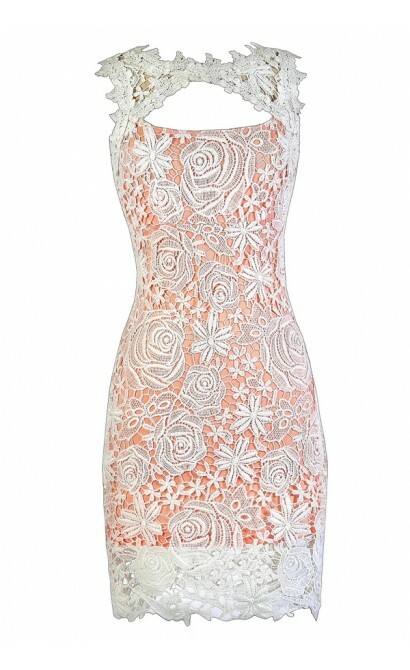 You have set Mallory High Neck Cutout Lace Pencil Dress in Peach as a loved product. 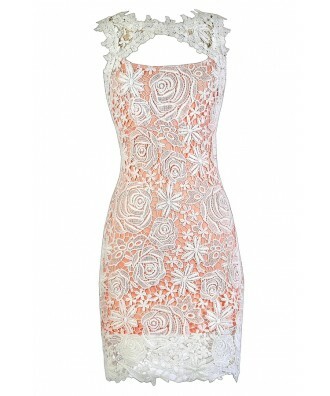 You have removed Mallory High Neck Cutout Lace Pencil Dress in Peach as a loved product.